Born at Carbonear, Newfoundland in October 1883, he came to Manitoba at a young age and grew up on a farm near Balmoral, attending Good Hope School No. 539. He taught at Addington School No. 443, Centre School No. 540 (1901-1902), Good Hope School No. 539, and Cypress River School No. 342 (1906). 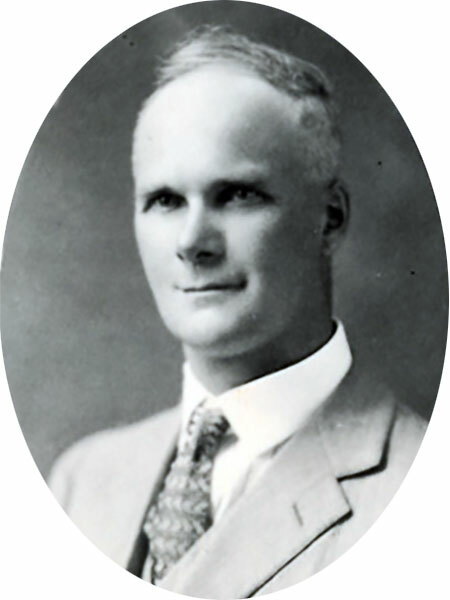 In 1907, he went to Swan River School as Principal, serving until August 1913 when he was appointed a School Inspector. His territory included a vast area of northern Manitoba, from Winnipegosis to Churchill, and including the Swan River Valley, Birch River country, The Pas, and Flin Flon. He retired in 1947 and lived at Winnipeg for a time prior to the death of his wife Charlotte Louisa “Lottie” Peach (1884-1949) at Swan River. He died at his Winnipeg home, 351 Rosedale Avenue, on 22 January 1968 and was buried in Brookside Cemetery. “Mrs. J. Peach, Swan River, dies,” Winnipeg Free Press, 10 June 1949, page 21. Obituary, Winnipeg Free Press, 24 January 1968, page 37.